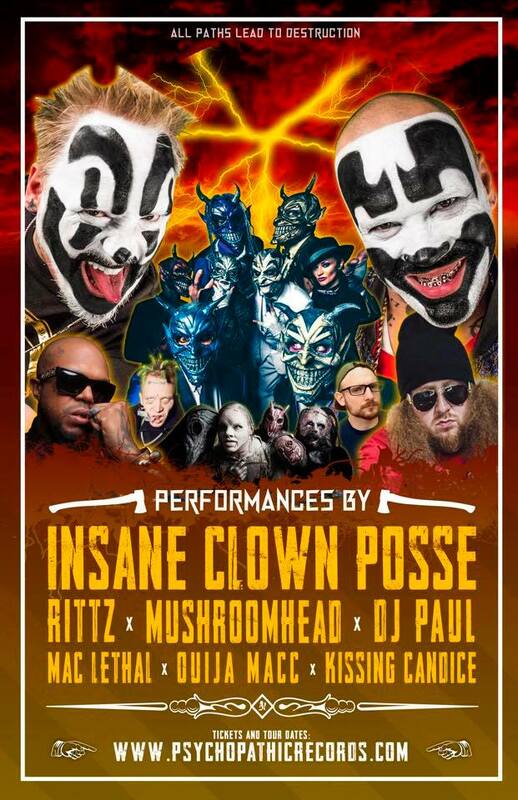 Radio420™: Insane Clown Posse’s Fury Fest 2019 Tour Dates Finally Announced! Insane Clown Posse’s Fury Fest 2019 Tour Dates Finally Announced! Get ready to mosh n roll Juggalos! The official tour dates for Insane Clown Posse’s “Fury Fest” 2019 have finally been revealed! The tour will also feature Mushroomhead, DJ Paul, Ouija Macc, Kissing Candice, Rittz, and Mac Lethal (Mac Lethal select dates only)! “FURY FEST 2019 will be leaving a path of destruction all across the country this Spring/Summer and we are bringing some of the most ruthless homies with us! ” Visit PsychopathicRecords.com for tickets!